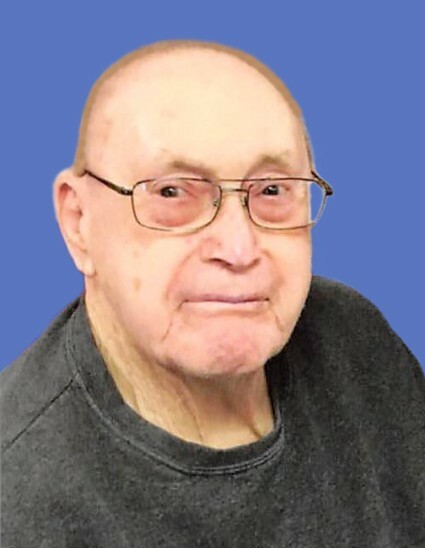 George A. Goodhart, age 89, of Wilmot, SD, died on Tuesday, November 27, 2018, at the Wilmot Care Center, Wilmot, SD. Services for George Goodhart are scheduled for Monday, December 3, 2018, at 10:30 a.m. at Our Savior’s Lutheran Church in Wilmot, SD. Rev. Caleb Schewe will officiate. Visitation will be held on Sunday, December 2, 2018, from 5:00 to 7:00 p.m. at the church and continue one hour prior to the service. Burial will be at Graceville Consolidated Cemetery, Graceville, MN. George Alois Goodhart was born on November 21, 1929, to George and Mary (Stattelman) Goodhart in Almond Township. He grew up in the Clinton, MN, area. George graduated from Clinton High School. On November 25, 1961, he married Helen Olhoft at St. John’s Lutheran Church in Wheaton, MN. After their marriage, they traveled around with his job. In 1968, they settled on a farm in the Wilmot area where they remained until his passing. George loved farming and treated his animals with love and kindness. He loved to talk with everyone and tell them stories. He loved old time music and played polkas on his organ, accordion and xylophone whenever he had the chance. George was a head mechanic, on road construction, and farmer. He worked hard all his life. After his retirement, he and his wife, enjoyed going to the casino. George was a member of Our Savior’s Luthern Church in Wilmot. Cherishing his memory are his wife, Helen of Wilmot, SD; children: George (Mary Jane) Goodhart of Corona, SD; Mike (Susan) Goodhart of Wilmot, SD; Sandie (Kurt) Westlund of Big Stone City, SD; eight grandchildren: Jennifer, George (Britni), Christina (Justin), Alex (Amanda), Rebekah, Aaron, Kurt, and Dylan; two great-grandchildren: Carter and Liam; sister-in-law and brother-in-law: Marge and Lynn Propp; and many nieces and nephews. Preceding George in death are his parents: George and Mary; sisters: Mary and Eva; and brother-in-law, Donnie.